Technology. Helium is used in the manufacturing of fiber optic cables. The same cables used for Internet and cable connections. It’s also used to manufacture semiconductors for many modern devices like phones, solar panels, and televisions and it is used in gas-filled hard drives. Helium-filled hard drives provide superior storage capacity and use less power than traditional air-filled drives. High-Tech Cleaning. Did you know that NASA uses helium to clean rocket boosters? Since the gas is inert, there’s no chance it will react with other compounds that may linger in the fuel compartments or freeze in the pipes. SCUBA gear. SCUBA oxygen packs aren’t oxygen. They’re actually a mix of oxygen and helium. The helium helps divers breathe easier at high pressure depths. Medical uses. Like SCUBA tanks, oxygen tanks used by patients with emphysema or other breathing problems contain a mix of oxygen and helium. The helium speeds delivery to the lungs. Helium is also used in MRI machines to cool down the super magnets used in the machines and has started to be used in microscopes, providing better resolution than scanning electron microscopes. Transportation. The gas has many uses in the transportation industry, aside from blimps and balloons. It is used to scan for leaks in ships and automobile A/C systems. It is also used in automobile air bags because it can diffuse so quickly upon impact. 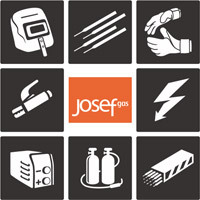 Whatever your application, Josef Gas can deliver the helium you need to get the job done. We can provide pure helium or gas mixtures. Call us at 416.658.1212 to arrange a delivery schedule or to place an order.